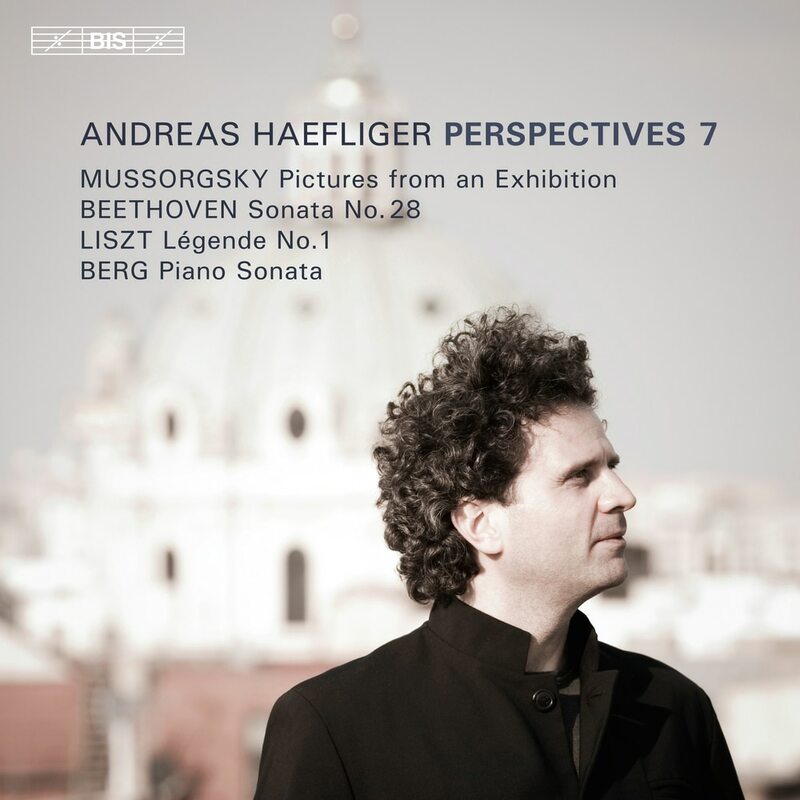 Since 2004, Andreas Haefliger has been devising a series of recital programmes named Perspectives, presenting them in concert and on recordings. Each programme focuses on one or two Beethoven sonatas, juxtaposed with works by other composers (ranging from Mozart to Berio) which in some way or other interact with Beethoven’s music, and with each other. The seventh installment in the series was premièred at the Edinburgh Festival in 2017, and was described by one reviewer as “Inspiringly commanding, thoughtful, lucid and sheerly beautiful” (The Herald, Glasgow). Haefliger’s programme opens with Alban Berg’s Piano Sonata, Op. 1, a highly concentrated work in which most of the music can be traced back to the two opening gestures. This is followed by Liszt’s impressionistic Légende No. 1 ‘St. Francis of Assisi: The Sermon to the Birds’, in which we seem to hear a flock of birds chirp warble and sing. At the core of the programme is Beethoven’s Op.101 Sonata – a work which in Haefliger’s opinion points more clearly towards Schumann than any other of the composer’s sonatas. But the grand finale of this amply-filled release is nevertheless a highly colorful and expressive performance of Mussorgsky’s Pictures from an Exhibition, recorded – as is the entire album – in the exceptional acoustics of the Mozartsaal of the Vienna Konzerthaus.